The Foundation for an Informed Texas (FIT) extends educational program dedicated to rural Texans to cable television. This continues an already successful statewide tour and social media campaign that gives voice to rural Texans. The result of the successful efforts is an expanded rural education effort that combines multiple communications channels, including cable television ads. The first cable ad ran on August 13, 2018, airing on a range of networks including Fox News and MSNBC. Please support helping FIT expand their program to educate even more Texans! Texas NORML is extremely proud of our sister organization, Foundation for an Informed Texas! The issue of medical cannabis is an important one to many rural Texans whose livelihoods depend on physical labor. Pain and inflammation are symptoms that are effectively treated by medical cannabis. The current medical regiment for these conditions are opioids and over-the-counter medication—both of which present dangerous side effects. In 2017, the Texas legislature saw 78 legislative sponsors of HB 2107—the comprehensive, medical cannabis bill—nearly 40 percent of those sponsors were Republicans. In addition, a recent poll conducted by the University of Texas and Texas Tribune found that 84% of Texans agree with some form of general, marijuana legalization. The FIT educational campaign is a grassroots effort to ensure that the most accurate information is available to the general public and the real voice of medical cannabis is heard—hardworking Texans who want to keep working hard, for longer. 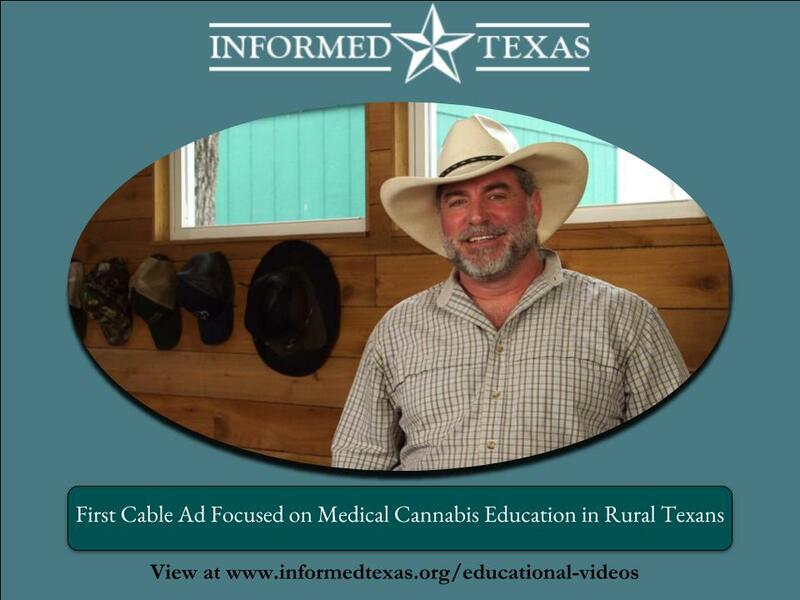 This will be the first cable ad dedicated to education regarding medical cannabis in Texas. Please support this important work today! Watch the cable ad here.